Stocking stuffers are a common last-minute purchase. If you've forgotten about filling your family's stockings this year, then opt for overnight shipping on these great Disney goodies! 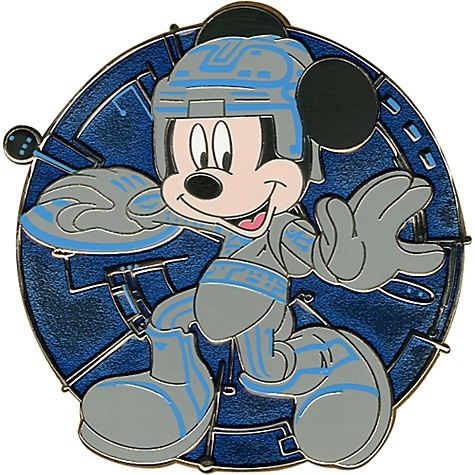 If you have a Disney pin collector in your family who's also a TRON fan, then you're in luck with this 6-piece TRON pin set. 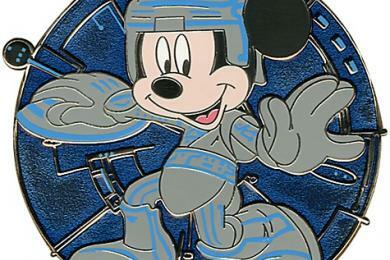 Or, you can opt for TRON Mickey Mouse, TROn Donald Duck or TRON Stitch! This Deluxe Vintage Mickey Mouse Pen by Retro 51 showcases colorful frames from vintage Mickey cartoons and comes in its own presentation box to make a fun, unexpected gift. For those who prefer Minnie, gift them with the Vintage Minnie Mouse Pen by Retro 51. If you have a Vinylmation fan in your midst, gift them with one or two from the Vinylmation Park 3 Series. Or opt for Lock, Shock or Dr. Finkelstein from The Nightmare Before Christmas. Finally, you could get a Pook-A-Looz for a child or the adult collector, and have it peek out of the top of the stocking -- how cute! There's Mickey, Santa Mickey, and Steamboat Willie, plus Pluto, Goofy and Dumbo, just to name a few! Best of luck with your last-minute Christmas shopping, and have a wonderful holiday with your friends and family.